Your business is built on your relationships with clients – and you wouldn’t want to upset a possible referral source with something as silly as a sold sign, would you? According to a recent REP poll, a majority of real estate agents believe a sold sign should be removed from a client’s lawn immediately after closing. About a third of agents, however, said the sign should grace client lawns for a more definitive length of time – no more than a month. Keeping a sold sign posted on the property’s front lawn for the entire length of a six-month closing, for instance, seems lazy and can be an eyesore for neighbours – that is, potential sellers. Another eight per cent of respondents said the sign should remain in front of the property as long as possible. Schneiderman, who doesn’t necessarily back the practice, said he sees the obvious marketing benefits to keeping the sign posted for as long as possible. A sold sign quickly relays your success to the community, and is especially advantageous in regions where homes stay on the market for months at a time. Sutton, too, says she always complies with what a client wants – whether that’s to leave the sign on for a longer or a shorter amount of time. “Clients’ wishes always come first,” she says. 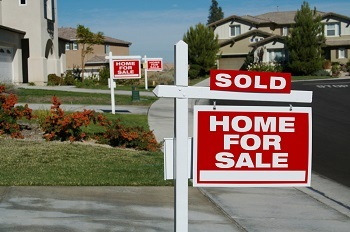 How long do you keep a sold sign on your clients’ lawns?